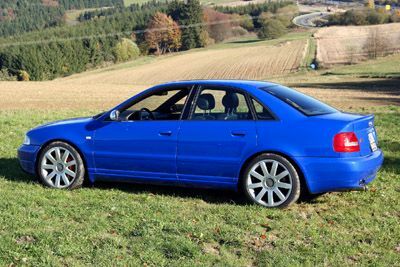 The B5 platform (model year 2000-2002 US market) Audi S4 is an exceptional vehicle in every sense. Rarely do you see a vehicle which is extremely capable in all conditions, yet hidden away in such an understated, luxurious, and practical body. While the performance figures of an S4 straight off the showroom floor are nothing to be ashamed of, this car takes very well to modifications. Lightly modified, an S4 can compete dynamically with highly esteemed sports cars such as the Porsche 911, Chevrolet C5 Corvette, E46 BMW M3, and E39 BMW M5. So, what makes an S4 unique? The engineers at Audi have always been good at differentiating themselves from the herd through innovative and unique technologies. 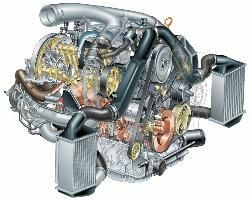 Some of the highlights on the S4's spec sheet are twin intercooled K03 turbochargers, DOHC 30 valve (5 per cylinder) 2.7 liter V-6, full-time quattro AWD system with TORSEN center differential and electronically locking (EDL) front & rear differentials, and a 6-speed transmission. While under the stock boost levels (approx. 8 psi), the S4 is (under)rated at 250 hp @ 5800 RPM and 258 ft-lbs of torque at 1850 (!) RPM. This powerplant will propel the 3600 lb S4 from 0-60 mph in approximately 5.5 seconds in stock trim. 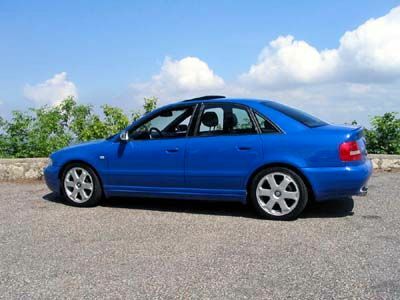 I purchased my 2001 Nogaro Blue Pearl Effect S4 in June of 2003. This car had been meticulously cared for by its former owner. It had taken me over a year to find this car with the exact options, color, condition, and price I was searching for. Between 2000 and 2002, only 13502 S4 sedans and 1527 S4 Avants (wagons) were produced making it a somewhat rare vehicle. Considering the list of options I wanted, only a few hundred S4's were made matching my criteria. My S4 came with every factory option (Sport, Premium, Cold, and Bose packages) minus a CD changer and CD based GPS navigation system. Otherwise, the car was mechanically stock...a good selling point for me. I had plans for this car, but I wanted to do it myself. I wasted no time getting acquainted with the car as I had to fly halfway across the country to buy it. I put nearly 800 miles on the car the first 12 hours I owned it!